Look for Train of Thought Co. traveling through your town/city in May and June 2015. www.trainofthought.co I will be accompanying the Jumblies Theatre Company as a guest Artist for the Winnipeg to Toronto leg of the journey. I will be working on a new branch of work (lifting out of Negotiating Spaces) exploring the "ghost lines" in Northern Ontario where the trains no longer run. During this adventure, I will be collecting narratives on postcards from people who live near the tracks before and after the train stopped running. Check back to see how the journey goes! Negotiating Spaces is an evolving body of work composed of medium format photography, video and text which strives to re-initiate a dialogue between the individual and the land by critically investigating Canadian perception of space, via rail. In current day, many of the Canadian rail lines have been sold, closed down, operate for cargo transport or seasonally for passenger traffic. 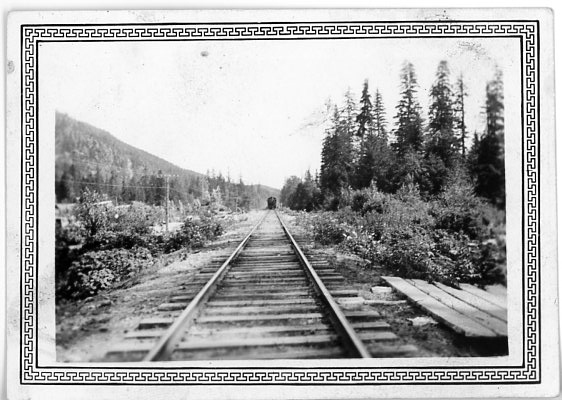 Traveling on tracks that were once said to have united Canada speaks about a national memory that has been forgotten. This evolving body of work explores both contemporary and historic rail culture by way of the memory-site. A memory-site is as a site-specific place or object that recalls lived experience, yet also recalls that which we cannot see; a shared feeling or understanding that connects people together (Pierre Nora). 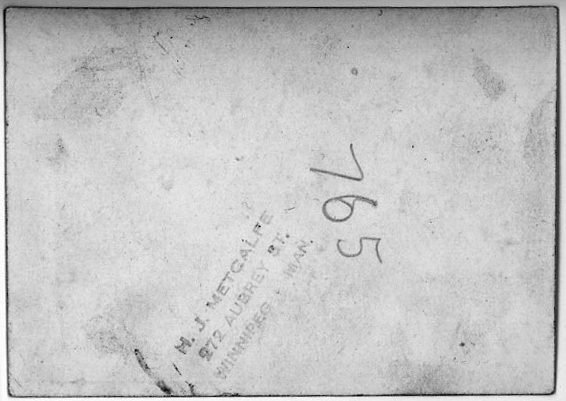 The memory site, in my work, offers a term and platform that binds the visceral experience of train travel, the visual scape and the recorded personal narrative. I have met many people on my previous rail journeys that have spoke and written down stories about: the hardships of homesteading, of war, families being moved and displaced, in addition to inspiring journeys about venturing into the city from the country. As a third-generation Canadian, I come from a settler upbringing and heritage; my family came from Scotland, England and Germany to Canada. If I place my privilege on hold, I realize within this archive are a number of gaps that I feel need to be bridged. In this new adventure with Jumblies Theatre I will be digging deep into memories of the land, collecting narratives from all people and places in Canada; indigenous and settler perspectives. This quote is from the book “Trains of Recollections: Drawn from 50 years of Railway Service in Scotland and Canada” by D.B. Hanna, (the first president of the Canadian Pacific Railway). D. B. My introduction to Canadian train history came from this book. I thought it was a good place to start as my family migrated from Scotland to Canada. Hannah wrote the book using the written form of the anecdote, a method that I find very easy to connect to. The phrase Canadian perception of space was born out of this quote, and describes my curious concern about moving through landscape via rail and its affect upon Canadian memory and identity. I have been collecting stories on postcard to create an archive of anecdotes (inspired by D.B Hannah), stories that never made it into the history books, yet ones that I believe reflect a truer understanding of our national identity.